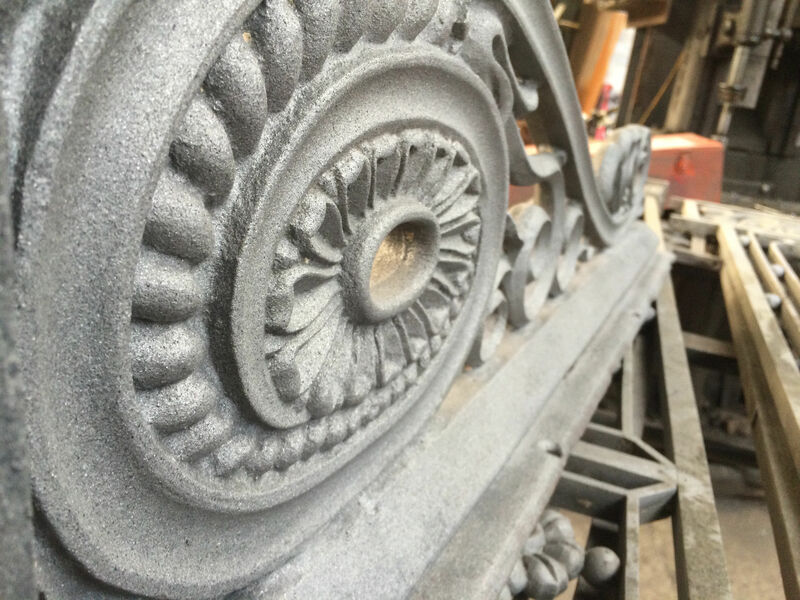 As well as using shot blasting for restoring architectural ironwork, Classic Ironworks also provide a complete range of shot blaster services for clients of all sizes. In the past, we have worked for domestic clients, Local Authorities and Large Corporations. As well as our Shot Blasting Bristol and Shot Blasting Somerset operations, we also offer a mobile shotblasting service covering the whole of the UK. One of our team of assessors will come and inspect the job before giving you a fixed quotation for your work requirements. Classic Ironworks can shot blast anything and everything; from iron bridges to industrial bins and everything else in between. 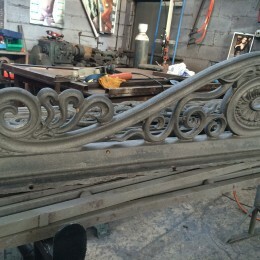 All work undertaken by Classic Ironworks is fully indemnified and all Health and Safety guidelines are strictly adhered to. All staff are provided tailored COSSH and H & S training before starting any job and regularly undertake refresher courses. Whether you are looking for paint or rust removal, or strengthening (peening) of metal surfaces, we have all the equipment required, including subsidiary equipment such as scaffolding. 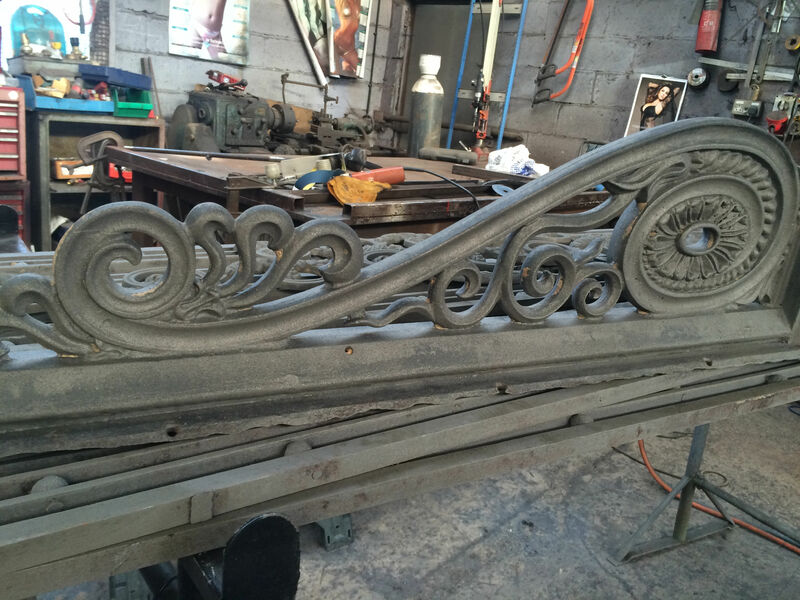 Classic Ironworks also offer many other services including welding, painting and powder coating to provide a one-stop shop service to clients of all sizes. 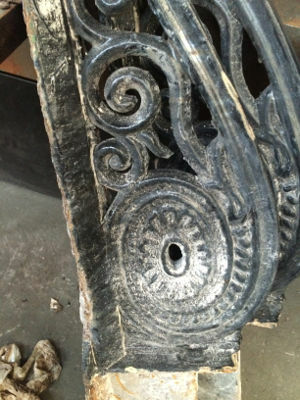 So what is shot blasting? 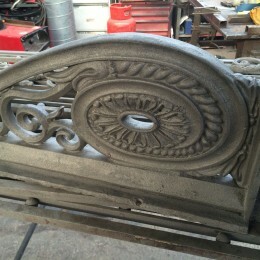 It is where we blast the metal with small particles – sometimes called grit blasting or sand blasting – to take off all the many years of paint and grime and rust to bring it back to smooth bare metal. Sometimes a compressed air sandblaster will do the job, but to take off many layers of accumulated paint usually requires the power of throwing wheel technology. 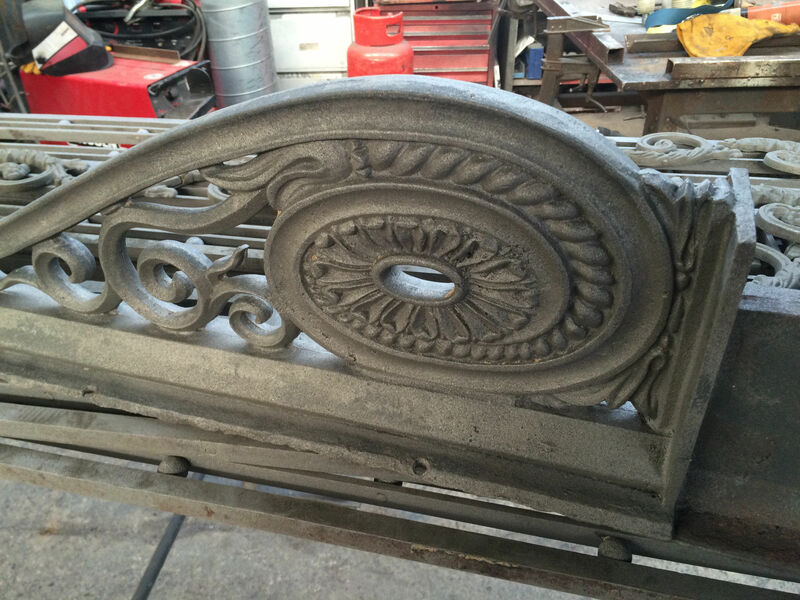 Here at Classic Ironworks we use a variety of abrasive media, depending on the job; from recycled glass to sandblasting and shotblasting grit. Every job is different and whether the job requires a grit blaster or sand blaster we have the machinery to do it. The final condition of the surface will depend on factors such as the velocity, shape and mass of the abrasive medium as well as the impactor angle and stroke density. Our highly trained team will select just the right tools and materials for your job requirements. Please get in touch to find out more. 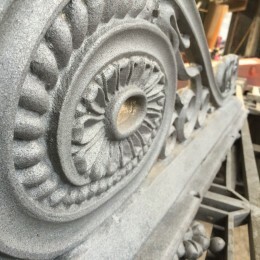 Whether you have a small balcony restoration job or a large bridge cleaning job, Classic Ironworks has the tools, machines, safety equipment, staff and resources to take on jobs of all sizes, right across the UK.